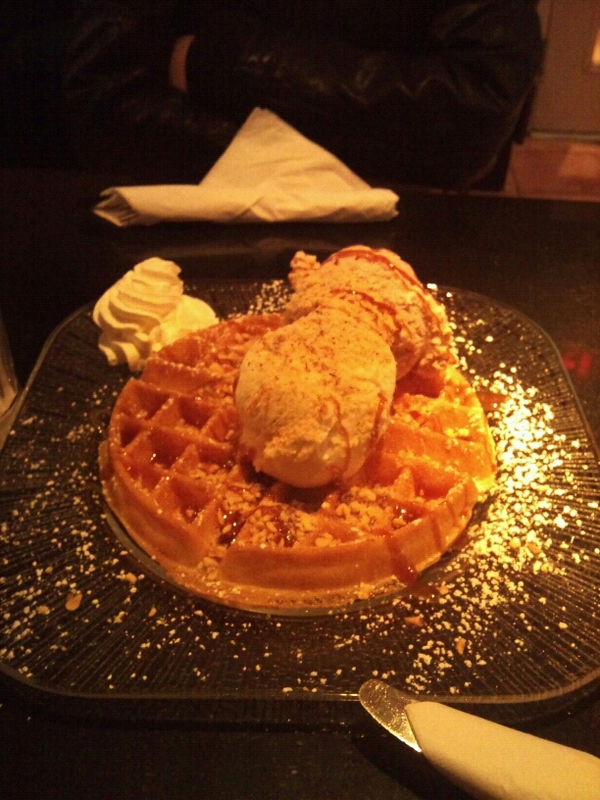 OMG... this is by far the best waffle place in town. For those who know me... you probably know I have the biggest sweet tooth so if I say its good.. IT'S GOOD! This little cafe is located in Little Italy, not the best decorated place so if you're looking for something fancy to impress the girl.. definitely NOT the place. But if you are looking for waffles that are totally crispy on the outside and moist and fluffy on the inside, this is THE place to go. 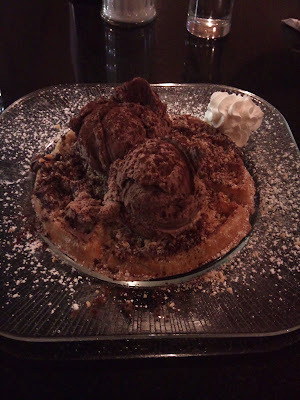 Most of the other dessert place I've been to (Demetre, Marche, etc.) are not even CLOSE to getting the crispiness of the ones served here. I often feel the reason is they undercooked their waffles so its just soggy and all, but the modern waffle makers actually have timers and starts beeping when the waffles are ready so that's probably not it. Assuming they all use the same 'advanced' waffle makers, then it must be the batter itself. In terms of flavor, I find the Marche waffles have no taste (like they don't add sugar or something!) - a blog will be posted on my Marche experience so I'll stop here. Demetre waffles and Sicilian Sidewalk Cafe waffles are both very delicious, not extremely sweet and fairly light, and goes very well with the ice cream. Focusing back on Sicilian Sidewalk Cafe, their ice cream selection is also quite different from the typical flavours (maybe they are Italian flavours.. I am not sure). After trying a few selections from the waffles section, my favorite is the Tutto Noce (because the ice cream flavours are quite different... nocciola and torrone) or the Tanti Baci (the nutella and the nuts + waffle is just the best imaginable combo!). The most 'visually appealing' waffle would be the Paradiso because they cover the waffle with so much strawberries that you wont see much of the waffle itself (sorry forgot to take a pic for this waffle!). A few others whom I spoke with about this place also recommends their panini. Unfortunately I've never tried (because I usually just come for dessert) but will definitely do so in the future. If you've tried their panini, please let me know what you or give me some recommendations!